You know, I think I've lost it. And I don't even know where to begin to find it. I've just spent the last couple of month's recovering from Ziva's latest 30 Days of Photos challenge. After that little effort I was totally bereft (big word!) of ideas for the blog. I was empty, wasted, tapped out. Get the idea? What did I do about it? I just agreed to participate in Nicky and Mike's 30 Day Writing challenge. Well it's actually a 30 day minus 2 because it takes place during February. That must be what attracted me to it. Two days fewer...what a deal! Or maybe because these guys are Canadian and us Canucks gotta stick together. Or maybe because they like cheese. I dunno. Where can I get a good blintz? Yeah, pretty damn wacky. Who the hell thought those up? But I'm a man of my word. I said I'd participate and I will...for 28 frackin' days in a row. So come back February 1. See what I've come up with. And be sure and visit Nicky and Mike every day and check out the linky dinky thingy to see what the rest of my nut-job friends have written. God help me, I'm in too. God help us all, Bryan. If you said "yes" while you were still sick, I'd understand it better. Have you lost your mind? Did you feel you were under duress? 28 days will land you in the asylum. Mark my words. Nicky tricked me. I was sick when I said yes. As a result, now I'm even sicker. Well, I must be, right? Nicky totally tricked me into doing this, too. Tall heels, awkward bananas, whispered words. How could I possibly say no? But that was before I saw the list of prompts. We're doomed, I'm telling you. Tell me about it. And blintzes for Valentine's? C'mon! Yeah, I've been suckered too 'Dufus. That Nicky's a smooth one. Awkward banana? That's not a prompt. Maybe we could make it one? I wouldn't know where the heck to begin to write about that one. It's pretty sad, but even I got tricked into this mess. Oh yeah? But it's your blog! Now we know who wears the pants on your website! What can I say. She went rogue. I can't believe it. I'm in too. I honestly don't know what everyone's going on about. Those are the best prompts ever. OMG. YOU ARE CRAZY! Good luck! Have fun! I'll be cheering everyone on, from the sidelines! Share the pain, Shawn, share the pain. I think you're the smart one, Meleah. Rogue, eh? I think she went right off the deep end. Dufus, I think you are brave...really brave...oh and a little crazy but still brave. Crazy? 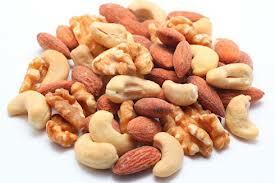 Hell, I must be nuts (like the picture!). You just want all of those fabulous points that Nicky hands out so freely! After NaBloPoMo & NaNoWriMo in November - I will NEVER participate in another writing challenge again. Besides, I'm supposed to be working on my novel. Are you talking about the point at the tip of Nicky's pretty little head? Yes, wacky is a good way of looking at it. And none of this was my fault, I can assure you of that. No matter what Nicky says. But it should be fun. Right? RIGHT?? Fun? Are you mad, man?